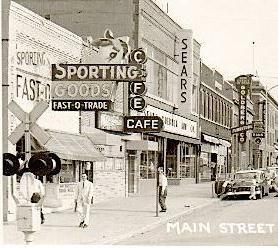 Fast –O-Trade – Dan Hornbacher, better known as Trader Dan opened his first sporting goods store in a small location at 525 East Central Avenue in August of 1945. 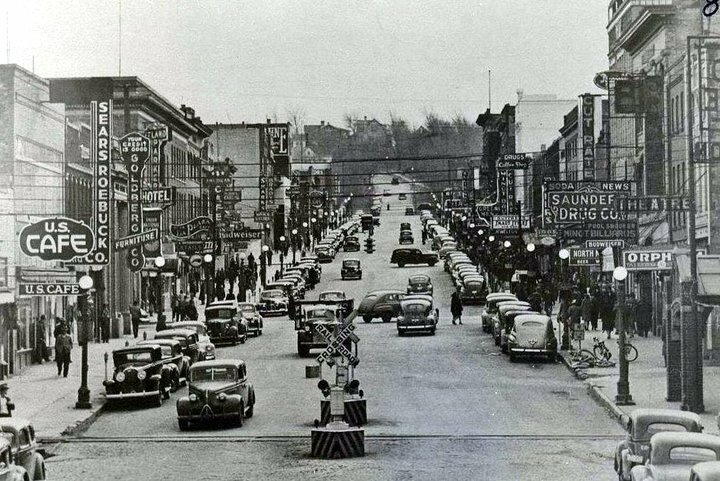 Changing the name to Fast-O-Trade, in 1949 moved to 16 North Main Street.. In 1961 Trader Dan built a new building on Highway 83 South. The new location provide a lot of outside room for boats, trailers and motorcycles. They akso carried a full line of sporting goods inside. Trader Dan stocked western clothing for hunters, archery equipment and all types of fishing tackle, along with firearms and ammunition. I have been informed that at one time Trader Dan would appear on late night TV selling his wares over the airwaves. I have been informed that for a while Dan Hornbacher went into the construction business with his son. Apparently they built a house which exploded due to a gas leak when lighting the furnace. Dan’s son was killed in the explosion. Dan and his wife lived in a house, behind his business, located at County Road 14 and Highway 83 South.